So apparently it’s National Granola Bar Day? I guess there is a “day” for just about any food you can think of, and while it’s totally bonkers ridiculous, I couldn’t help but put my favorite food days on my calendar, so I would be ready for 2015. And there we go – another one of my 2015 blogging goals. These “days” I will be celebrating represent recipes I have always wanted to try, maybe even recipes I didn’t know I wanted to try, but nonetheless things I have always thought would be fun to make. 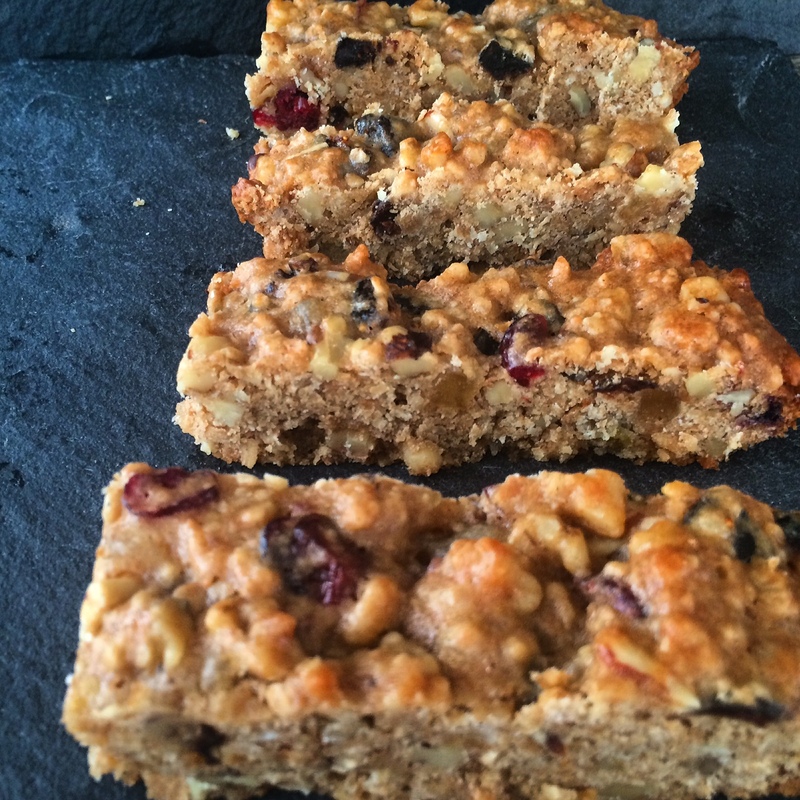 So Granola Bars – Obviously one of my favorite things on earth. Easy, on the go, sometimes healthy, sometimes not. However, I had never made my own. They were always in store-bought form which is something I try to stay away from these days. I tried two recipes – one was from Cooking Light and super healthy. They were delicious, but they did not stay in “bar” form. It’s hard when something tastes really great, but doesn’t really hold shape. Maybe it would be worth giving them another shot, I mean, it basically turned into really good homemade regular granola. The other recipe was from my mom. She was “embarrassed” to dig it out of her archives because it was so “old school” and you used STORE BOUGHT GRANOLA! OMG, the horror. But before she found the recipe, she was talking about how good they were. I looked at it and could tell that yes, it was old school, but it would also be DELICIOUS. Also not your healthy, gluten-free version, but a bar made with butter and flour – I knew these bad boys would hold their shape. So I went for it. And they were awesome. 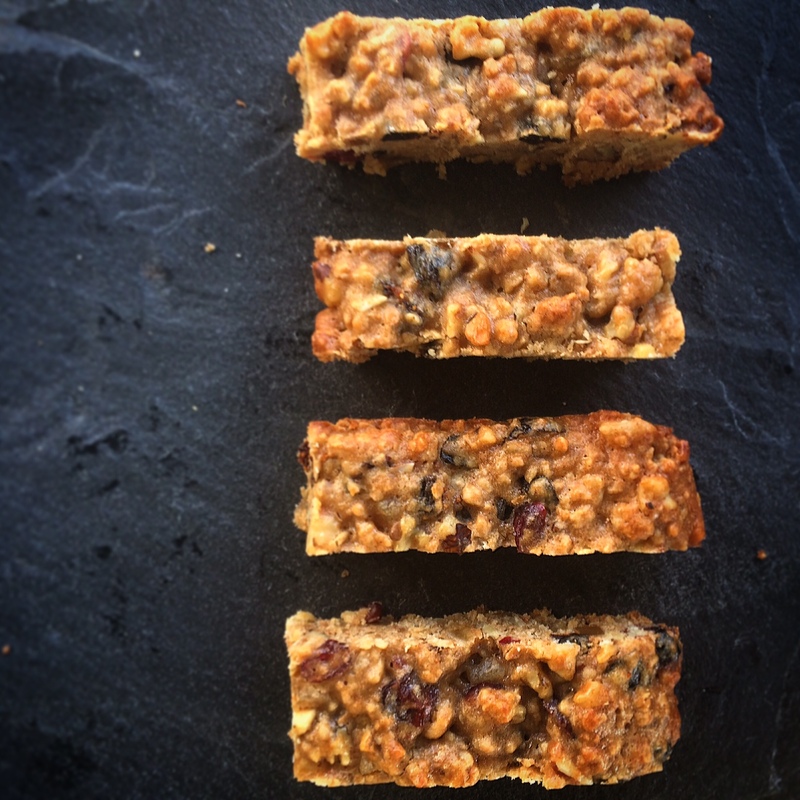 These may be closer to a breakfast cookie or a homemade Clif bar than a “granola” bar, but they are tasty enough to celebrate National Granola Bar Day! In a large bowl, mix Granola and next 7 ingredients together and set aside. In a small saucepan, melt butter and let cool slightly. Mix in brown sugar, maple syrup, vanilla, and egg. Immediately add the butter mixture to the dry ingredients and mix well. 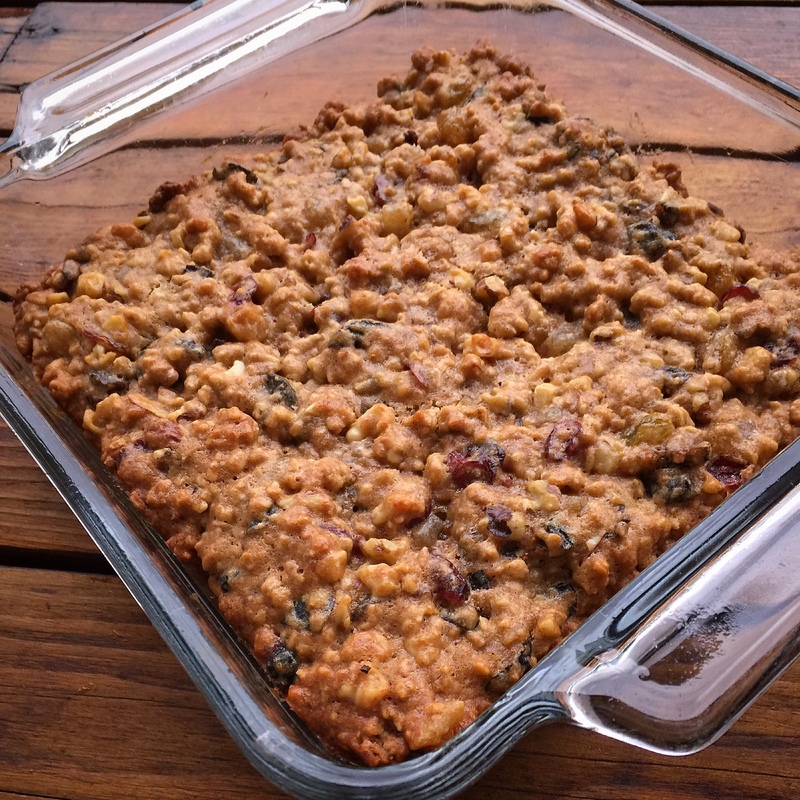 Spread mixture into a greased 8×8 inch square pan. Bake at 350 for 25 min, until slightly browned on top. Let cool completely, and cut into bars and serve.